Reference Librarians are available to assist you with your information needs in person or remotely. See Reference, Instruction and Consultation to find out about the ways in which librarians can assist you with class, article, clinical or experimental information research. You might discover something of which you were previously unaware! 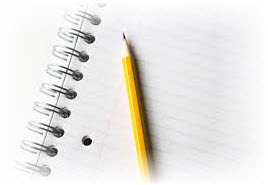 The Writing Center: Services provided by the Writing Center include help with topic selection, strategies for successful research, proper citation use, grammar correctness and draft revision. Copyright: Do you want to know more about copyrights for your classroom? This page provides basic information on copyright and fair use in an educational setting and resources for teaching faculty: Know Your Rights. Plagiarism: Educational resources on plagiarism and OUHSC policies are available. Please check out Plagiarism 101 information page. Libguides: The library has provides guide pages for our library users ranging various topics in terms of how to use library resources and services. The Library subscribes to products that can help you with the retrieval and organization of information and the storage and organization of full-text. Click here for more details about the following citation managers including how to access them. Subscription by the Library allows affiliated faculty, students and staff to use them free of charge. Build and maintain personalized, searchable databases of bibliographic references and accompanying data. Conduct basic searches in remote databases like PubMed, etc. Manage other documents created in Word, Powerpoint, etc.